On 23 June 2011 the convicted double-murderer Levi Bellfield was found guilty of the murder of 13-year-old schoolgirl Milly Dowler. 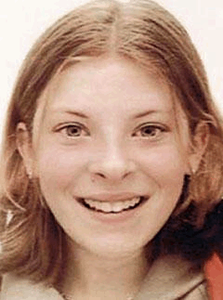 Milly Dowler disappeared on her way home from school in Walton-on-Thames, Surrey, in 2002. Six months later her body was discovered many miles away. A massive police investigation, the largest manhunt in Surrey's history, got nowhere. Only when nightclub bouncer and bare-knuckle boxer Levi Bellfield was arrested for the murder of another young woman did it become clear to police that they had a serial killer on their hands. This is the full story of the murders, the victims and the painstaking nine-year investigation and trial by police and prosecutors. It tells of Bellfield's terrifying, controlling personality - a man who went from charming to monstrous in the blink of an eye - and his depraved stalking of young women. It is a terrifying portrait of the only man in modern British legal history to be given two separate whole-life setences. 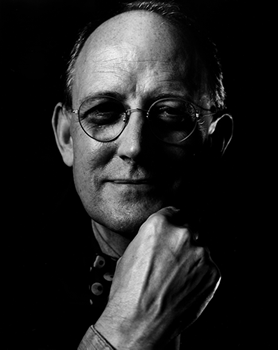 GEOFFREY WANSELL is the author of twelve books including the official biography of Frederick West (see elsewhere on this site). In writing this book, Geoffrey undertook a full year of investigative research and spent every day of Bellfield's trial at the Old Baily in order to piece together the details of the killer's life and crimes. Geoffrey Wansell breathes insight into one of Britain's most hated murders. Written by Steff Lever for London Confidential and was published on August 1st. The Bus Stop Killer described as ‘a man on edge, a man without conscience, a victim of his own sexual desire and his addiction to violence’, are the words used by Geoffrey Wansell to describe Levi Bellfield in his latest book The Bus Stop Killer. 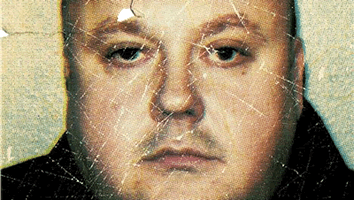 The emotionless and haunting book cover image of Levi Bellfield comes with the resounding label - ‘sadistic serial killer’. It paints a portrait of Levi Bellfield, a supposedly once charming man; descend into monstrous ways. This emotionless image closely matches his actions on trial, as he is said to have remained relatively impassive immediately pleading ‘not guilty’. Wansell’s book is a constant page turner and thoroughly describes the tedious nine-year investigation into Levi Bellfield; the story of a killer that simply unfolds throughout the 324 pages. It delves into the killing of Milly Dowler, and offers extraordinary insight into the investigation, eventual arrest and trial. The book opens with a description of ‘Little Benty’, a secluded location near the M4 motorway. Whilst reading, it soon becomes apparent the extent to which Bellfield has an unhealthy sexual interest in young females, but further to this, that he is a dangerous sexual predator. Wansell describes an incident in which two young girls were approached by Bellfield, they were both encouraged to get into his car and he made sexually suggestive comments, asking if they were virgins. This snippet of information in the first few pages is the beginning of the vast amount of sick information that continues throughout the book. 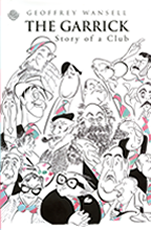 Wansall writes in such a way that the book is highly readable and at the same time intricate in detail. The Bus Stop Killer was released on the 28th of July 2011, and the book becomes part of the ‘calm’, but in this case, after the storm, with the recent tabloid allegations of The News of the World phone-hacking scandal. The nationwide scandal forced closure on the national newspaper, and was considered by all as a step too far – revealing the extent and the desperation of the media to get ‘a good story’. This explosive scandal still remains in the news and has triggered the nation’s memorable and heartfelt emotion for the Milly Dowler case. It remains present in our minds, and begins to convey the devastation caused by The Bus Stop Killer. Bellfield remains the only killer in legal British history to receive two whole life sentences.